I'm very pleased to welcome Mrs. N as a guest blogger today at CWCL!! 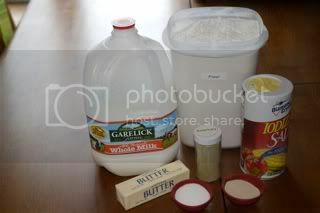 Thank you, Mrs. N for sending in this awesome photo-essay recipe! 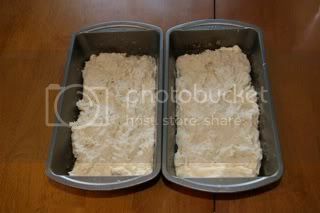 This is my favorite recipe for bread when I really don't have time to make bread. 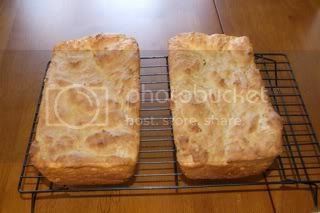 It bakes up with a nice crunchy crust and is soft and moist inside - it makes the best toast ever! It's perfectly good plain but gets even better if you add herbs to it, how much is up to your own tastes. 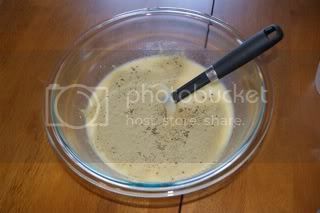 My first choice for herbs is powdered rosemary(if you can get it), I use about 1 tsp, depending on how fresh it is. 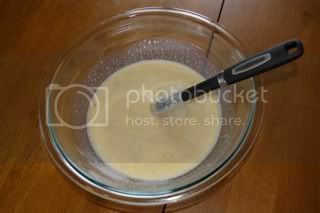 Stir together the yeast, milk, butter and sugar in a large mixing bowl, let stand until slightly foamy. Add the salt and herbs(if using). 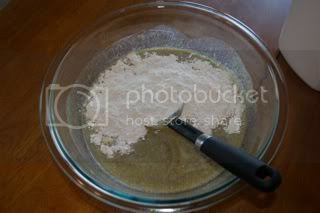 Stir for 2 minutes until completely combined. 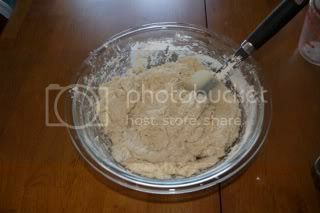 Spread batter into a greased loaf pan and smooth with a spoon or wet fingertips. 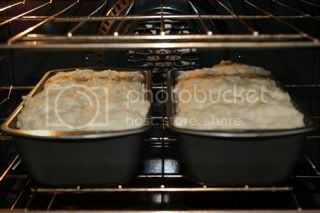 Cover and let rise until it reaches the top of the pan, about 30-45 minutes. Mrs. N shares a little house in New England with her sweet husband and dog. She spends most of her time cooking, knitting and sewing with the occasional home improvement project thrown in to keep things interesting. (FCW: She's a stinkin' awesome quilter, too). You can find more of her amazing posts at her blog: Doubleshot Thoughts.